Black, red, silver. MSI's slim gamer GS70 gets an update. The new generation is now equipped with the GeForce GTX 970M, and MSI has also thought of striking colors for the chassis. However, the fan noise and temperatures are striking as well – our review tells you why. It should be slim, quiet, cool and obviously fast. This would be the perfect gaming notebook for many people. Thanks to the more efficient processors and graphics chips, we are already much closer to this perfect device. Bulkier notebooks like the Alienware 17 or MSI GT72 still provide more performance, but you can also play current games with slim gaming devices like the Acer Aspire V17 Nitro or the Medion Erazer X7613. 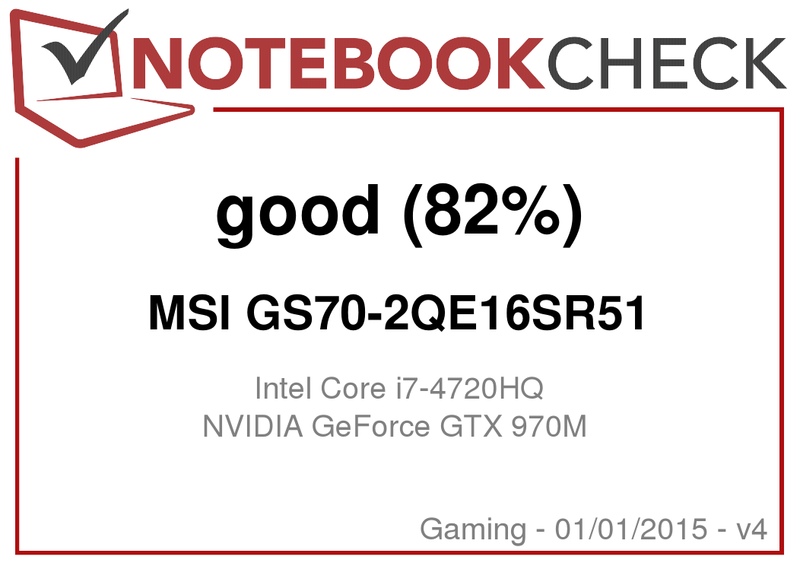 The MSI GS70-2QE16SR51 or GS70 2QE Stealth Pro is an update of the successful MSI GS70-2PEi71611 that we reviewed around six months ago. A faster processor and the new GPU generation from Nvidia are supposed to make the gaming laptop even faster. You also get new colors for the case, like silver and red that stand out from the competition. We compare the new MSI GS70 with the Acer Aspire V17 Nitro, Medion Erazer X7613, Aorus X7 Pro, Gigabyte P27G v2 and Nexoc G728II. Asus still does not offer a comparatively slim rival. The chassis of the updated version will not feel any different if you have ever held the previous GS70: MSI has only changed some small things. However, this is not a bad thing since the case really impressed us with its simple shapes and the sophisticated aluminum materials. We particularly liked the matte surfaces that are not susceptible to fingerprints. Our review unit is entirely silver, but red and black versions are available as well. We had previously only criticized the pressure sensitivity and the low torsion resistance, and the current review unit does not change that: You can produce distortions on the panel when you twist it, and the palm rest can be pushed in under force, which creates creaking sounds. All in all, the quality impression is decent, especially since the display hinge keeps the lid well in position and just allows a small amount of bouncing. A slight difference compared to the predecessor is the enlarged fan exhaust in the display hinge, which is probably a result of the more powerful components. We can repeat ourselves when we talk about the ports: Nothing has changed. However, there was not much criticism in the first place. The excellent connectivity with HDMI and two Mini DisplayPorts allow the user to attach three external displays at the same time. Four USB 3.0 ports should also be sufficient in most scenarios. However, the positioning of two USB ports at the front of the left and right sides is not perfect when you want to use an external mouse. The lower edge of the display covers the rear of the base unit when you open it, so there are no ports at the back of the case. 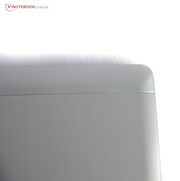 The same applies to the front of the notebook, which accommodates seven status LEDs . The LAN module and wireless adaptor are supplied by Qualcomm Atheros. Wired network connections can be established with the "Killer e2200" Gigabit-Ethernet module. The notebook supports all wireless standards up to the latest 802.11ac, which means (depending on the router) you can reach transfer rates of up to 800 Mbps. The signal quality is decent: At a distance of ten meters (~33 ft) from the router, the Windows icon still showed four out of five bars and websites opened quickly. Another two meters (~6.5 ft) and another wall between the notebook and the router resulted in a drop to three bars, and websites were opened slightly slower. But overall, the performance is still decent. 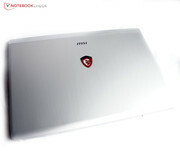 The MSI GS70 can also be sold with a comprehensive set of accessories, the so-called "Elite Pack": It consists of a gaming mouse, a headset from SteelSeries and a sturdy backpack, which is large enough for many accessories besides the notebook. Like its predecessor, you can remove the bottom cover, but you will have to loosen 19 screws first and break a warranty seal. Now you have access to the battery, the hard drive and the SSDs as well as the two fans and the WLAN module. Replacing the memory requires more dismantling and you have to remove a lot of cables, screws and components. 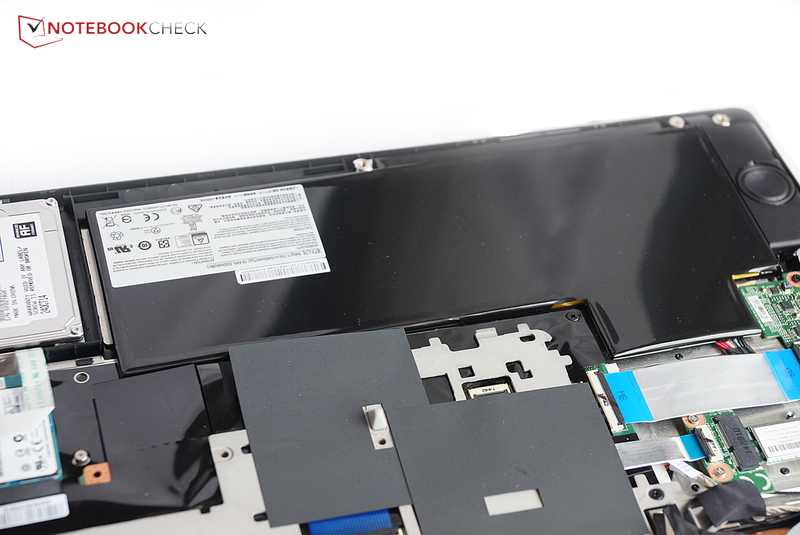 You should be careful when you work inside the notebook to avoid any damages to the components. According to MSI, the warranty is still valid when the warranty seal is broken as long as the hard drive is replaced by professionals, for example. 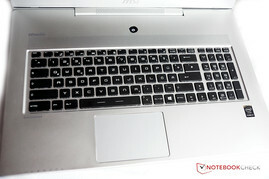 MSI offers a warranty of 24 months for its laptops. The manufacturer even picks the device up from your place after you have filled out a form, and the repaired device will be sent back. 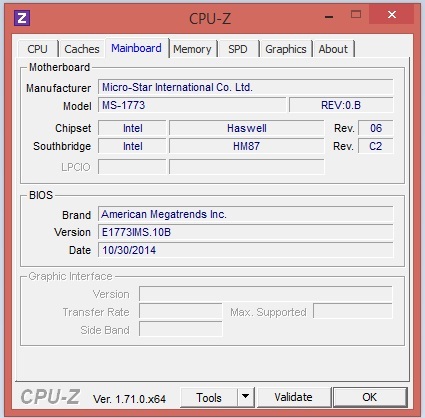 MSI also offers a warranty extension of one year, but it is only available via retailers. 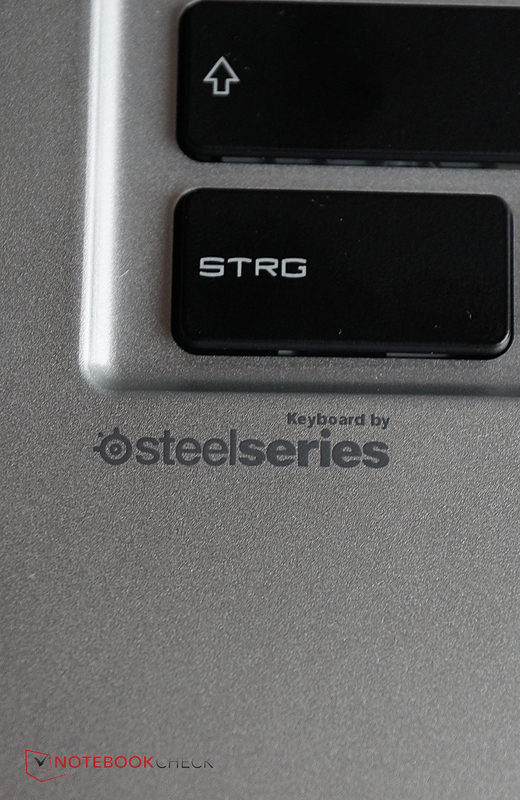 Once again the keyboard of the GS70-2QE16SR51 is supplied by SteelSeries and has the familiar and strange layout that we already know from other MSI notebooks: The Enter key is only half-sized and rarely used. On the other hand, keys like "^" or "#" are rather large. The letter keys themselves are also quite narrow and the arrow keys are not separated from the rest of the keyboard. Special functions like the volume or brightness control can only be used via Fn combinations, and dedicated multimedia buttons are missing altogether. The stroke is quite comfortable, and once you get used to the keyboard typing is reliable and fast. 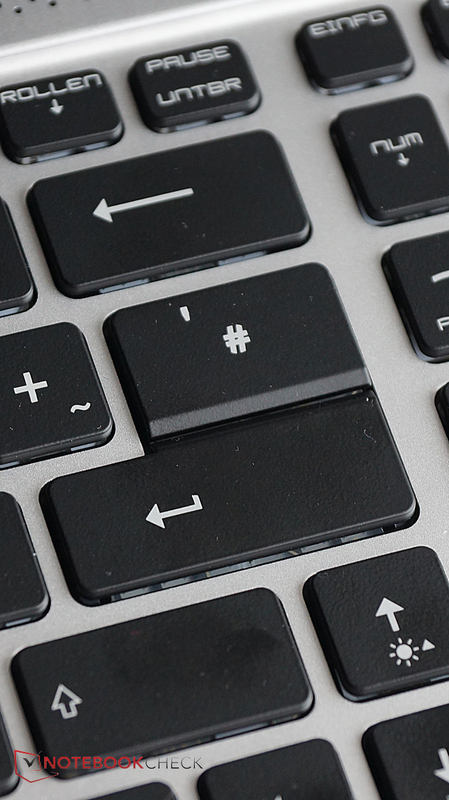 One tip: You can assign macros to the individual keys in the configuration application, which means the "#" key can also be used with the "Enter" command, for example, to enlarge the Enter key. 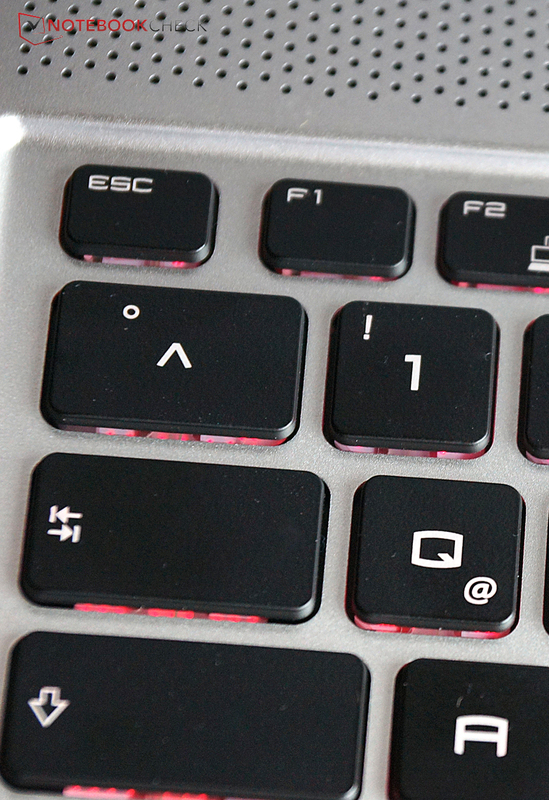 The settings for the keyboard illumination are very comprehensive and you can adjust the colors in three different zones. The colors can also change periodically, flash or pulsate. The brightness can be adjusted in multiple steps or you can deactivate it completely. 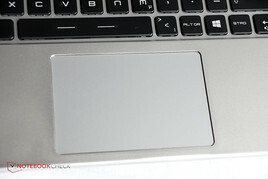 The touchpad is a ClickPad without dedicated buttons. You just have to push down the corresponding side on the bottom of the pad to execute a click. This is much less precise compared to dedicated buttons, but gamers probably would not use a touchpad for gaming anyway. 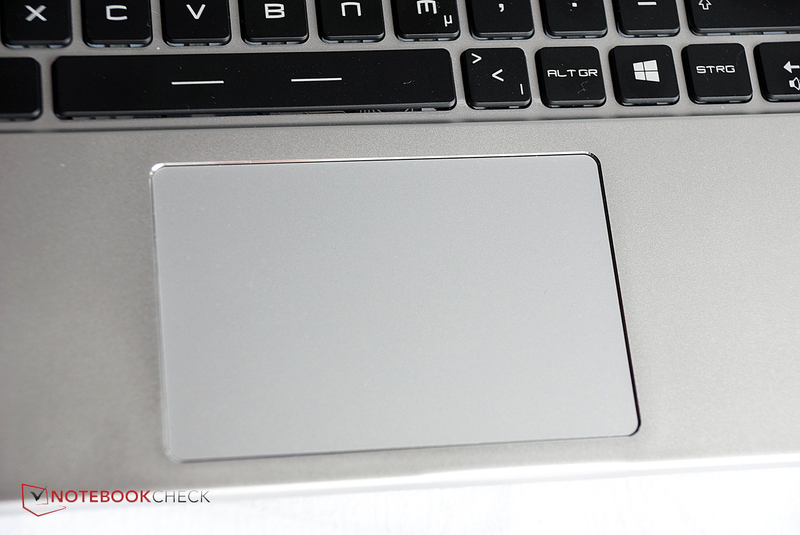 The ClickPad can be used in emergencies, especially since it is large and the surface is conveniently smooth. You can also use multi-touch gestures: Zooming or scrolling with two fingers worked quite well on the touchpad. Notebooks with matte displays are particularly important to gamers. 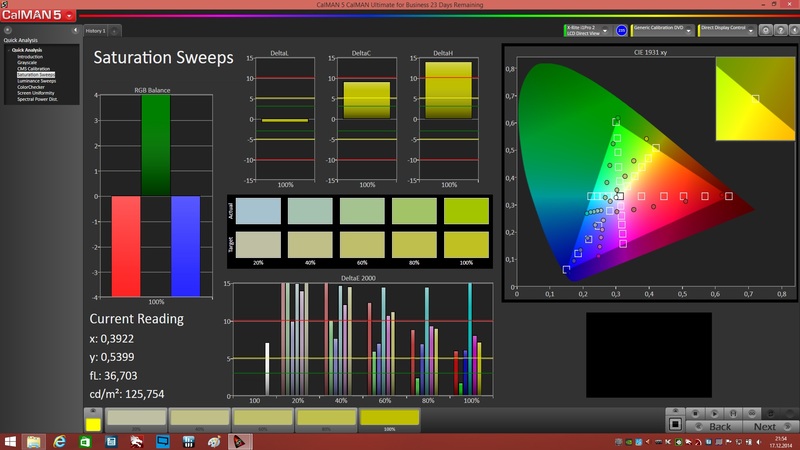 MSI knows this and for quite a while now does not offer glossy displays (except for the 3K and 4K versions) anymore. 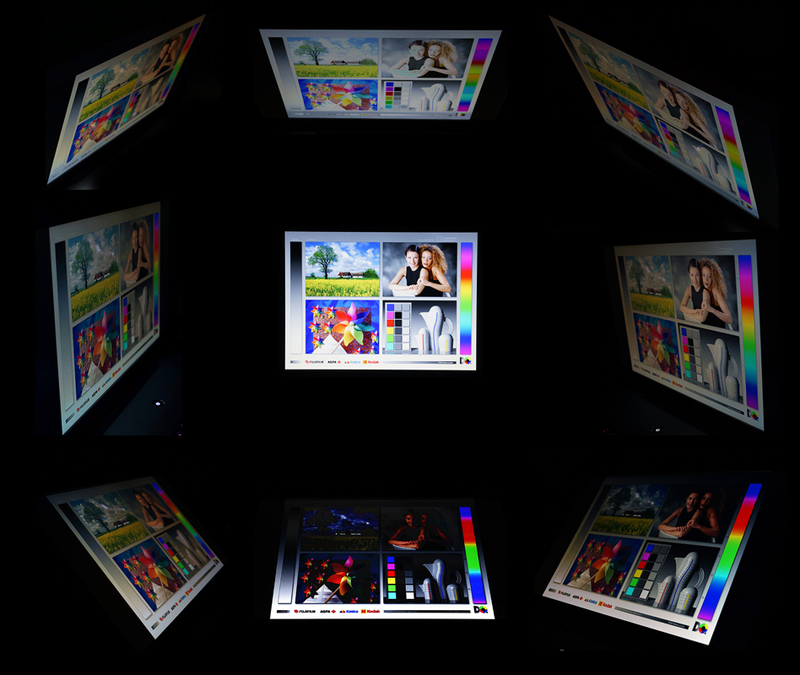 However, the 17-inch segment is still dominated by TN LED panels, and IPS displays with wider viewing angles, and usually colors that are more accurate are still rare. This also applies for the current MSI GS70: The TN panel is supplied by Chi Mei and has a native resolution of 1920x1080 pixels. The luminance is much lower compared to the MSI GS70-2PEi71611; the average result is just 251 cd/m² and therefore more than 50 cd/m² lower. However, the brightness distribution is more even at 84%. The black value is slightly lower as well and therefore better with just 0.28 cd/m². All in all, the contrast ratio cannot compete with the predecessor, but it is still decent: Our system calculates 896:1. 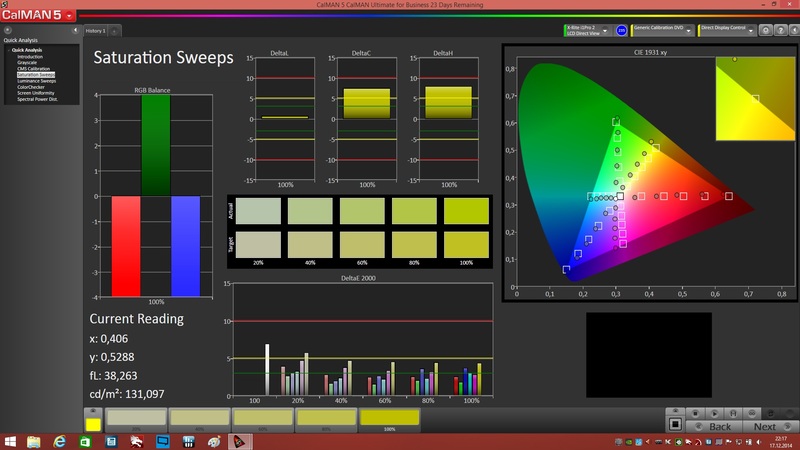 Colors appear rather pale on the screen; even the colorful Modern UI of Windows 8.1 is pale compared to other displays. We check our observations with a spectrophotometer and the software CalMAN. In fact, you can immediately see that the uncalibrated display suffers from high deviations in all curves and diagrams of the test software. You can also see an extreme blue cast for almost all colors when you look closer. 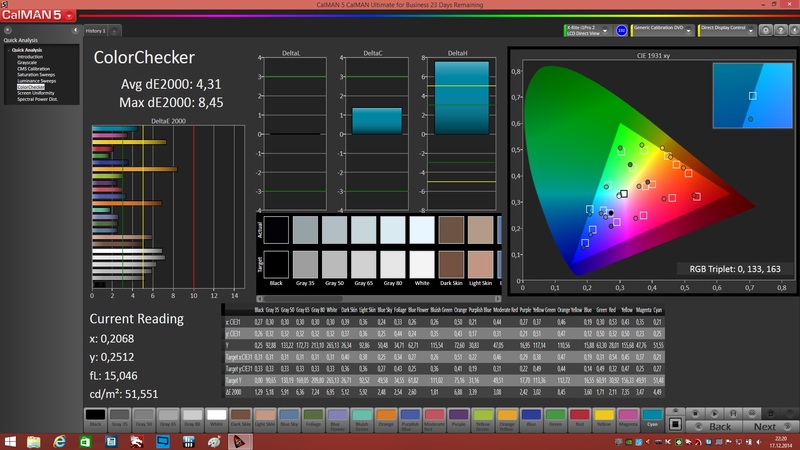 This means that it is not the right device when you have to rely on the colors of your display. 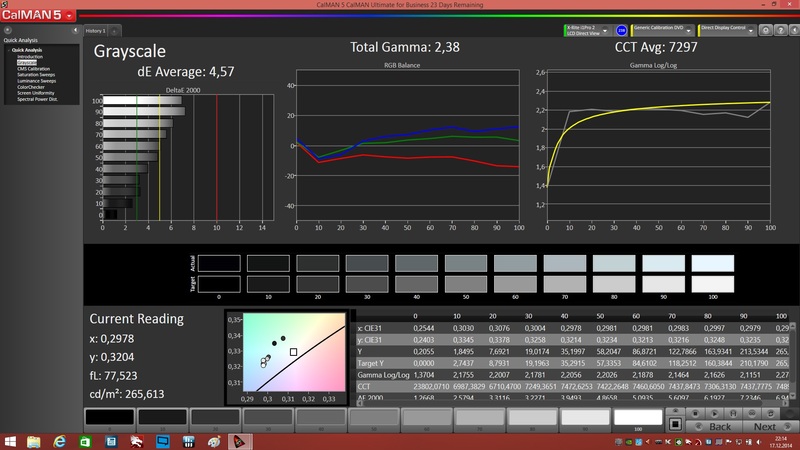 The blue cast is much lower when you calibrate the panel. 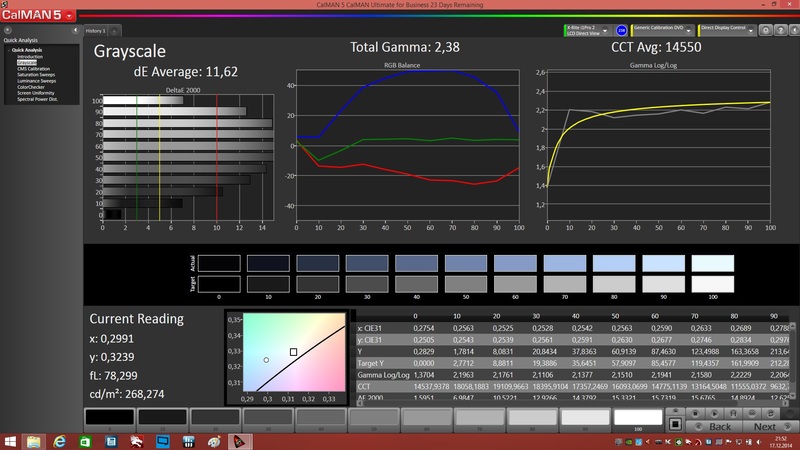 The saturation and the color accuracy are also closer to the reference values of the sRGB color space. However, the blue hue is still visible on bright areas and the color deviations are still too high for professional scenarios. A 17-inch notebook is not really a typical mobile companion, but thanks to the slim construction and the comparatively light weight, you could use the GS70 on the road or on the balcony. A matte panel helps in these cases; but you will have to live with the low brightness, which means you can hardly see the display content on bright days. A place in the shade or indoors on the other hand is not a problem. The Chi Mei N173HGE-L11 has slightly better viewing angles than we normally expect from a standard TN panel: Colors do distort from an angle above or below, but this effect is only visible with rather big shifts. On the other hand, the viewing angles with horizontal shifts to the left and right are almost perfect. 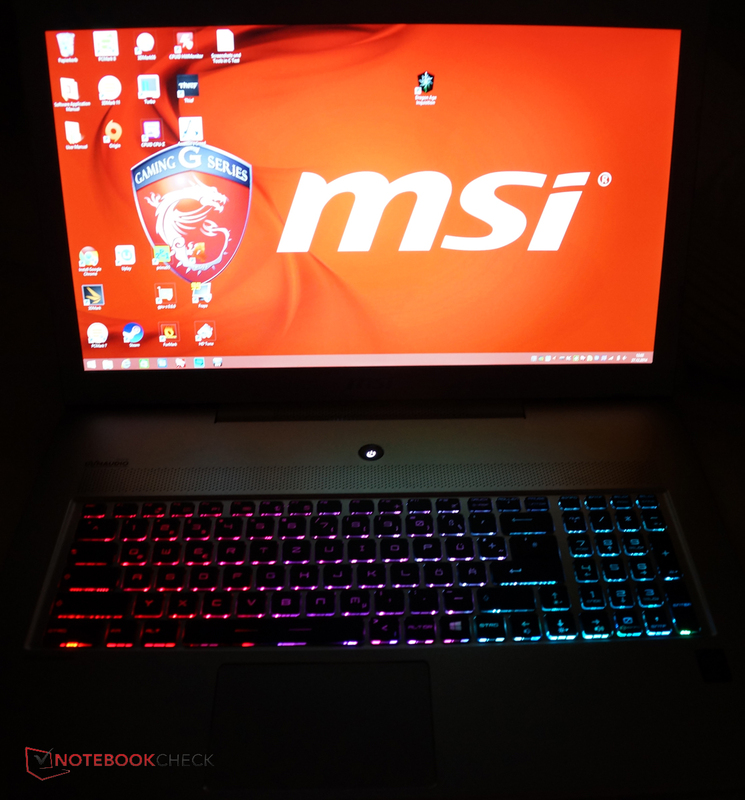 The MSI GS70 is well equipped in terms of performance: The notebook uses a fast quad-core processor from Intel, the GeForce GTX 970M as well as a RAID configuration with two 256 GB SSDs. 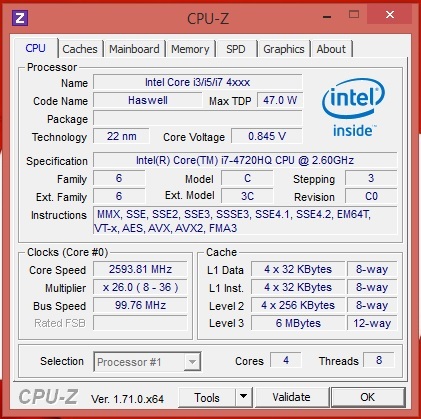 The Intel Core i7-4720HQ runs at 2.6 GHz, but can reach up to 3.6 GHz via Turbo Boost when you just stress one core (Turbo Boost: 4 cores @ 3.4 GHz, 2 cores @ 3.5 GHz). The processor supports Hyperthreading, which means the four cores can execute up to eight threads simultaneously. 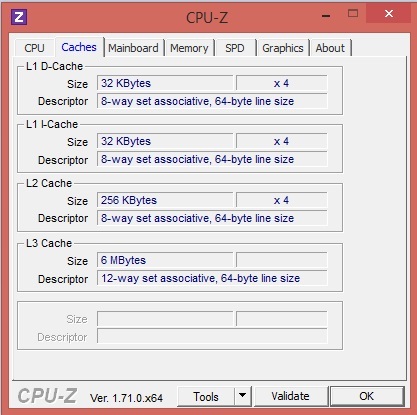 The result is a significant performance advantage in multi-core optimized applications. We can clearly see the performance advantage compared to the Intel Core i7-4700HQ in Cinebench R11.5: Our review unit manages a lead of 12% in the Multi-Core benchmark. However, this difference is hardly perceptible: Both processors are usually sufficient for all tasks and they execute them very quickly. One example would be video rendering, where the review unit would probably be 10% faster compared to the predecessor. 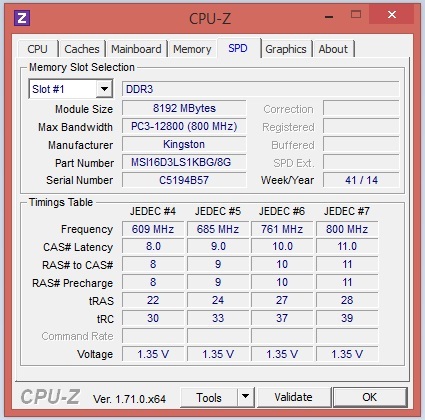 The benchmarks show that the processor has no advantage over the Intel Core i7-4710HQ, which is used in the Medion Erazer X7613 and Acer Aspire V17 Nitro, for instance. 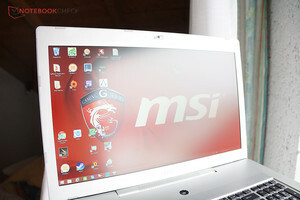 The MSI GS70-2QE16SR51 as well as the comparison notebooks are very fast systems with very clever configurations. Our current review unit, however, can manage a small lead over the rivals, which is certainly due to the combination of the faster processor, more powerful graphics card and SSD RAID. Depending on the scenario, we can measure an advantage of up to 24% in the system benchmarks. MSI uses two SSDs from Toshiba in a RAID 0 configuration. Files are distributed between the two drives, so the performance is increased. 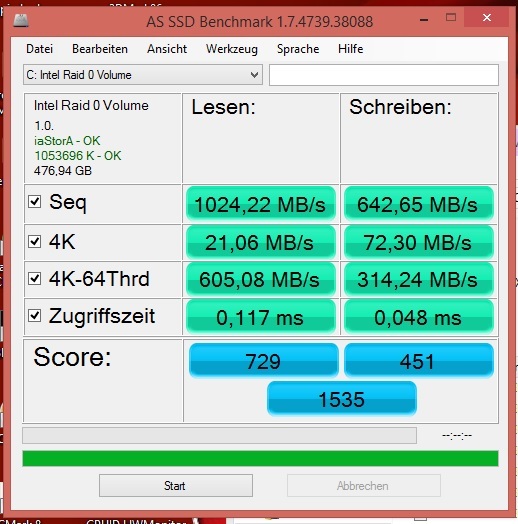 The advantage is apparent when you look at the AS SSD benchmark result: The MSI GS70-2QE16SR51 is twice as fast as its predecessor with a single SSD when it reads sequential data from the SSD RAID. MSI also integrates a hard drive with a capacity of 1 TB and 7,200 rpm, so you have sufficient space for your music, movies and pictures. The dedicated graphics card and therefore the heart of the notebook is a GeForce GTX 970M. The GPU can use 3 GB of the fast GDDR5 video memory and runs at 924-1,038 MHz under load (depending on the Turbo). 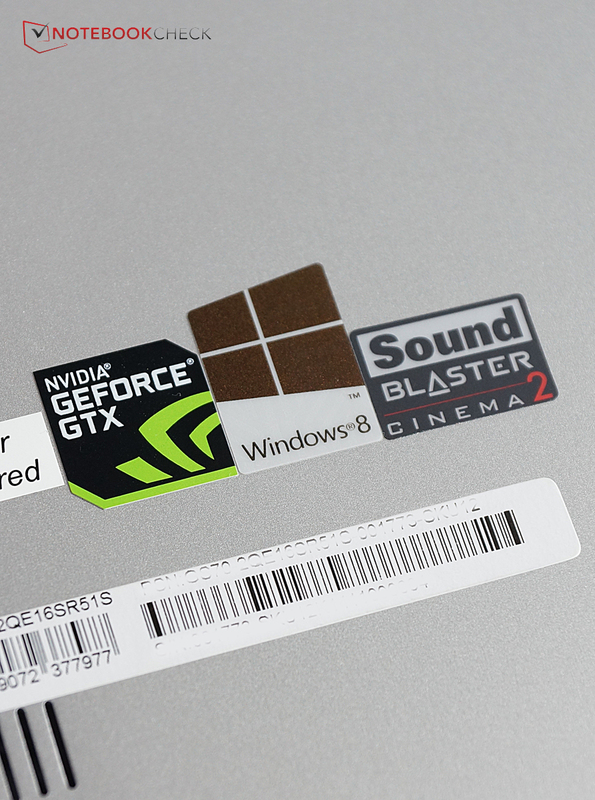 Compared to the old GTX 870M we can see a big performance advantage in the 3DMarks. The GTX 970M is currently one of the fastest mobile graphics cards and should be sufficient for smooth gameplay in most games at the maximum settings. The processor also has an integrated HD Graphics 4600, which is more than sufficient for office tasks and movies. It is activated via Optimus technology if you do not need the performance of the dedicated GPU. The GeForce GTX 970M is deactivated in this scenario, so you can save a lot of power. 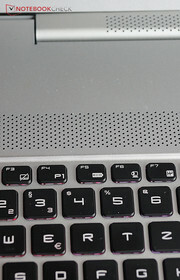 MSI even indicates the active GPU: The power button underneath the display changes its color; white represents the processor chip and orange the dedicated GPU. 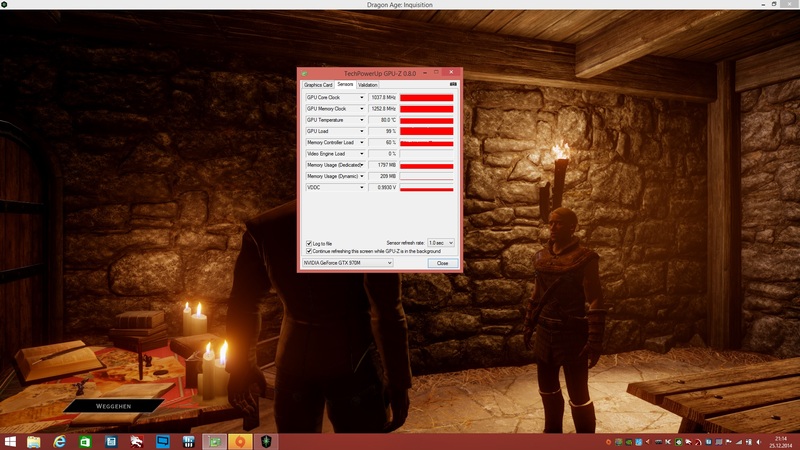 Maximum Boost clock in "Dragon Age: inquisition"
The 3D performance of the GeForce GTX 970M is quite impressive; you can usually enjoy the highest details in the native resolution, even with current games. Only the very demanding "Assassin's Creed Unity" drops below 30 fps in the ultra preset. Some less complex games, such as "Middle Earth: Shadow of Mordor", run with more than 50 frames per second, even in ultra-high settings. This is respectable performance for a slim high-end notebook, gaming with full details (with some small restrictions) is really becoming portable. It is also nice to see that the graphics card can maintain its maximum Boost clock of 1,038 MHz during a small match in "Dragon Age: Inquisition". Thanks to the higher power efficiency of the GeForce GTX 970M, the cooling solution of the MSI GS70 seems to be just sufficient, at least for gaming: We could not observe any throttling from the MSI GS70-2PEi71611. It was, however, annoying that "Dragon Age: Inquisition" had issues with the Fullscreen mode, which could not be solved with a driver update either. The good news: You will not hear the storage drives of the MSI GS70-2QE16SR51. 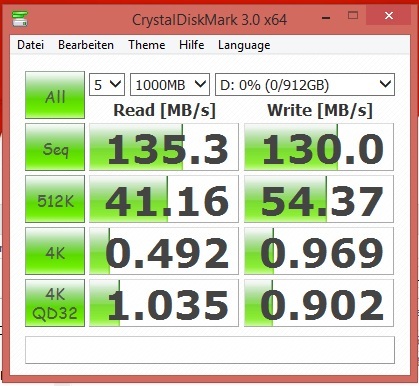 The RAID configuration with up to four SSDs is silent anyway, but the integrated conventional hard drive is also quite quiet registering 31.6 dB(A). 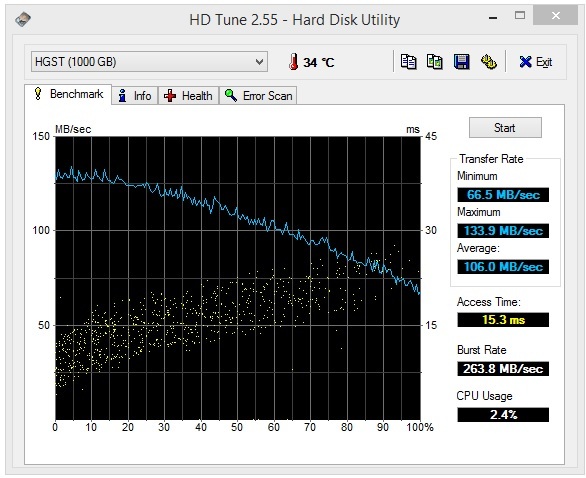 However, the constant murmur of the fans is the main reason that you will not hear the HDD: The notebook can be almost whisper quiet with 29.6 dB(A) in a perfect scenario, but the two fans often increase their speed and get quite loud, even with light workloads. This is annoying when you watch videos in particular, but could easily be solved with a firmware update. The maximum idle noise of 39.4 dB(A) is much higher compared to the predecessor. The fan noise of the current GS70 has a bigger margin under load and is slightly quieter than the predecessor with a minimum value of 47.2 dB(A), but it is also very loud with up to 55.8 dB(A). Gaming results in a system noise of up to 50 dB(A). The cooling solution is quite dynamic and constantly changes its speed. Unfortunately, the fan noise itself has a slightly high frequency, and as a result is rather audible and not as suitable as the murmur of the MSI GT72, which is also much quieter in general. 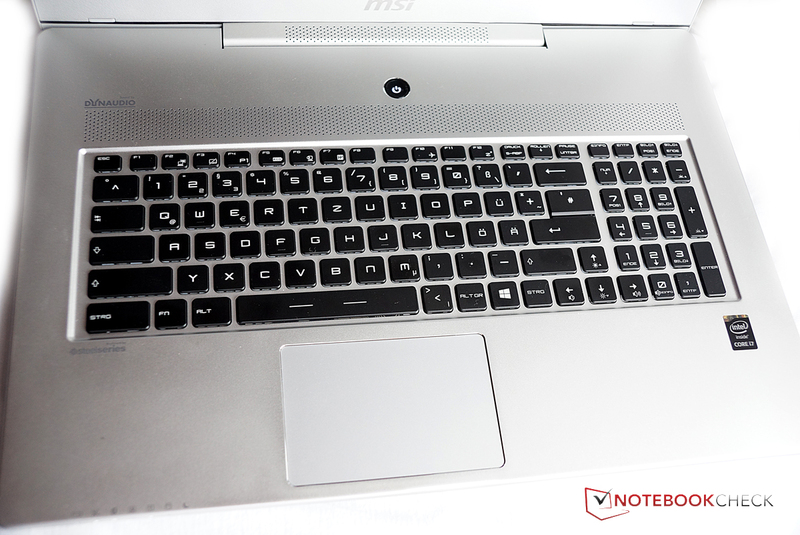 Slim gaming notebooks are currently not the best solution if you are looking for a quiet gaming notebook anyway, but the MSI GS70-2QE16SR51 is also rather loud compared to its direct rivals. The higher performance compared to the predecessor is not only apparent in the operating noise, but also the temperature development: The rear area of the chassis gets noticeably warm while idling, but the MSI GS70-2PEi71611 did not get warm at all. It was not really possible to play games with the predecessor while it was on your lap or in the hands because the rear area got really hot. This problem is even bigger with the successor because of the faster graphics unit: We can measure up to 68.6 °C (~155.5 °F) at the bottom under maximum load, which is higher than the majority of heaters at their maximum setting. The temperatures are lower at the top, but the area above the keyboard still gets very warm. We use the stress test to simulate maximum load for the GPU as well as the CPU and check if the cooling solution is sufficient. 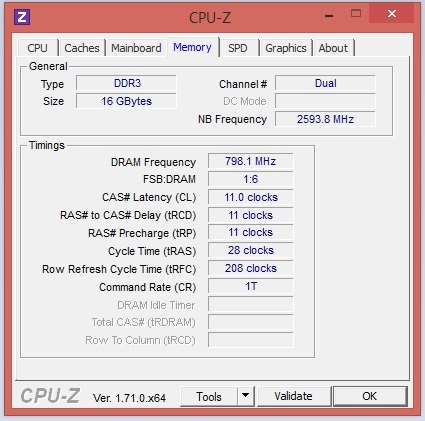 The result: Neither the graphics card nor the processor can reach their maximum clock and the battery is discharging, even with the attached power adaptor. We can measure the highest temperature for the processor at 98 °C (~208 °F). These temperatures can also affect the lifespan of the hardware. The GTX 970M is still quite fast during prolonged periods of load when you play games: A 3DMark 06 run immediately after the stress test, resulted in the same score as in the first run. 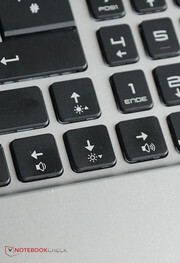 The so-called "Shift" system, which is integrated as software by MSI, can be used to limit the temperatures. It limits the Turbo functions of the CPU as well as GPU and can be adjusted in three steps, but you will obviously lose performance. As was the case with last GS70, we are not really happy with the speakers of the current review unit. 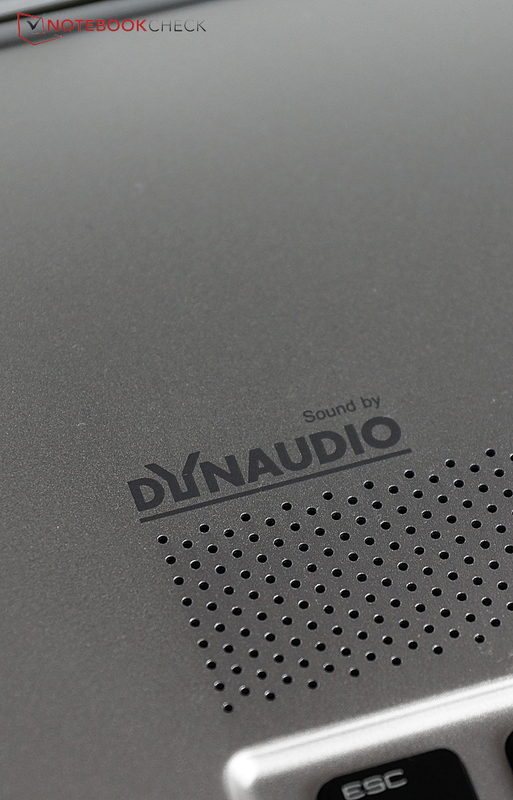 While the Dynaudio speakers of the GT72 are among the best that you can currently get in a notebook, they cannot impress in slim notebooks. 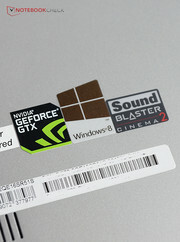 Once again, the "Sound Blaster Cinema 2" technology from Creative optimizes the sound and actually improves the result, but the basics are still missing: There is obviously not enough space for the subwoofer to create rich bass or speakers that can produce a good sound, so everything sounds rather similar. The result is a rather mediocre sound. There are also some positive aspects, such as the very high maximum volume and the clear reproduction of voices. Music enthusiasts will have to use external speakers, but the notebook might be sufficient if your expectations are not that high. The power adaptor with an output of 150 Watts is similar to the predecessor, even though the processor and graphics card are faster. Fortunately, the GeForce GTX 970M is much more efficient, so the 150 Watts are just sufficient. However, the battery discharges under maximum load, which is a sign that the power adaptor is operating at its limit. The manufacturer was able to reduce the standby consumption of the MSI GS70-2PEi71611 slightly:0.2 Watts for the current version is okay. On the other hand, the minimum idle consumption is higher, the review unit pulled at least 15.7 Watts from the socket, whereas the predecessor consumed only 6.2 Watts. There are several profiles that can be changed with "Fn + F5", but they only have a minimal impact on the consumption. The system is comparatively frugal under maximum load and consumed just 9 Watts more than the significantly slower predecessor: 166.9 Watts is the maximum consumption. The battery runtimes represent the hardware changes as well: The idle runtime is much lower because of the higher minimum consumption, the more realistic WLAN test determines rather similar values and high load results in a runtime of around one hour, which is 33% shorter than before. The MSI GS70-2QE16SR51 cannot keep up with the other comparison devices either, the Acer Aspire V17 Nitro in particular is much better than our review unit. Our teaser introduction for the predecessor was "Wickedly hot", and the new MSI GS70-2QE16SR51 is even worse: The temperatures are higher, just like the operating noise during gaming. Other points of criticism like the mediocre speakers and the strange keyboard layout have not changed either. It seems that slim high-end is still a compromise, right? Not necessarily: Acer proved with the current Aspire V17 that compact gaming is possible, even though the Nitro is not quite as slim as the MSI GS70. 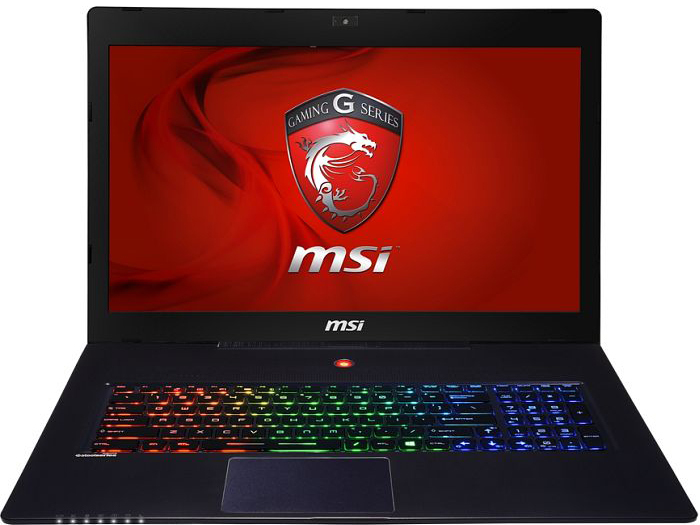 If it has to be a comparatively light and slim17-inch notebook with a decent metal chassis and decent gaming performance, then the current MSI GS70 might be a good solution, especially since the GeForce GTX 970M manages smooth frame rates in many current games with (ultra) high details. There is no throttling when you play games, but this cannot be said about maximum load, where the temperatures are very high. The cooling solution still seems to be too weak. 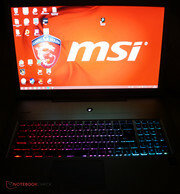 If you can live with the unique characteristics of the MSI GS70, you get a gaming notebook that impresses with a high performance in a slim construction. However, if performance is not that important, the competition offers devices that are more impressive. 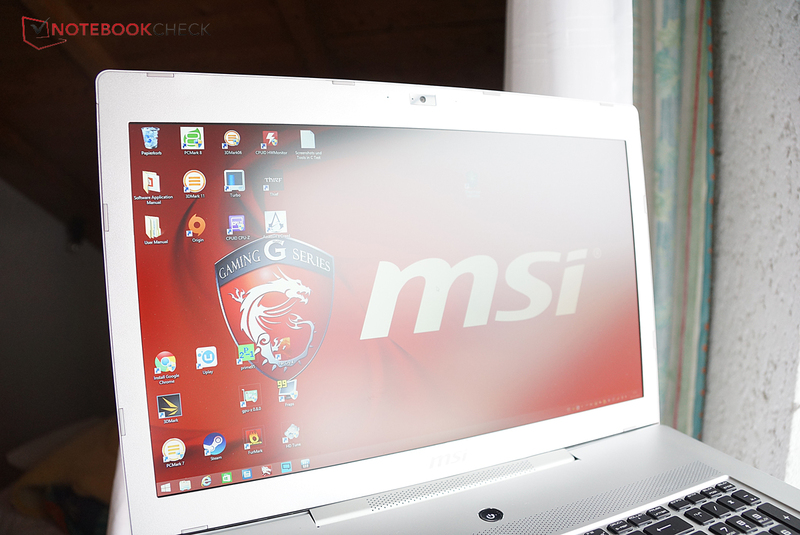 In Review: MSI GS70-2QE16SR51. 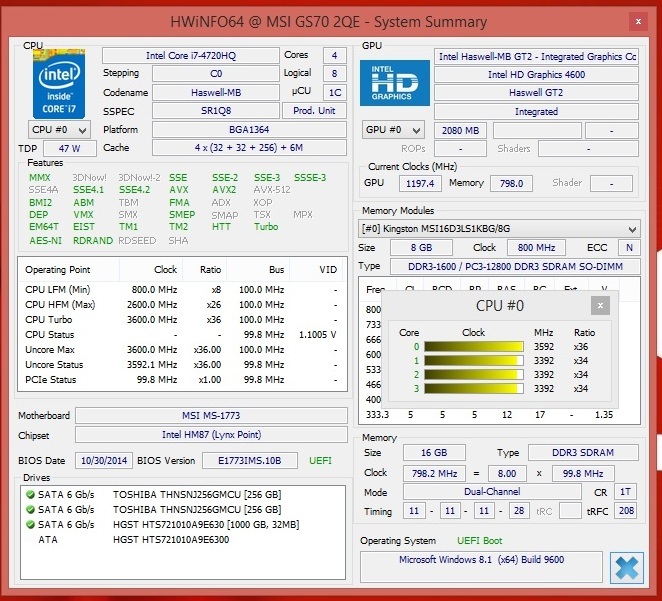 Test model courtesy of MSI Germany. 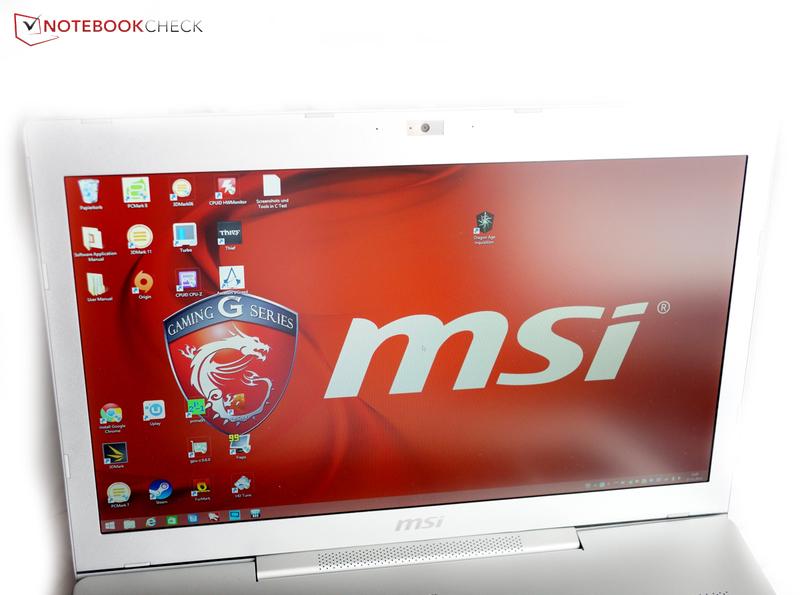 We already reviewed the MSI GS70 half a year ago. A lot has changed since then, not only the colors of the case. ... just like a GeForce GTX 970M, which is more efficient and more powerful compared to its predecessor. 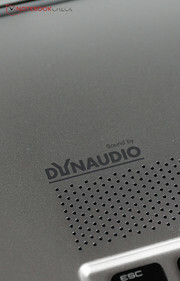 Other things haven't been changed, including the mediocre sound system from Dynaudio. You get a subwoofer, but bass is still not really very powerful. 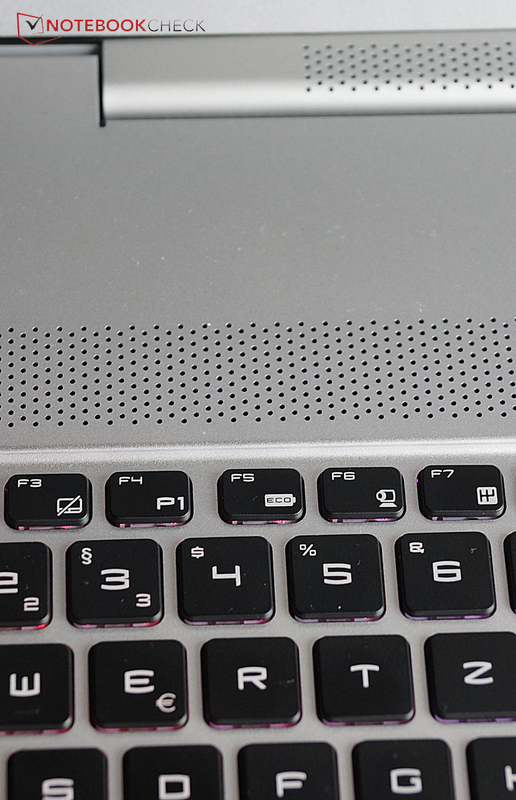 Also still the same: The color of the power button indicates the currently used graphics card. The case is nice, but susceptible to pressure and not completely torsion-resistant. You have to loosen 19 screws at the bottom and break the warranty seal before you can open the notebook. ... the two fans and the hard drive. However, reaching the memory is a bit trickier. 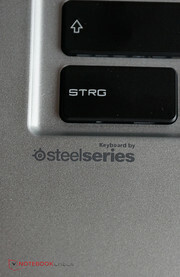 The keyboard is still provided by SteelSeries. The keyboard certainly has its qualities, the stroke is pretty smooth but still firm, while the typing is fast and quiet. The layout, however, is very strange. 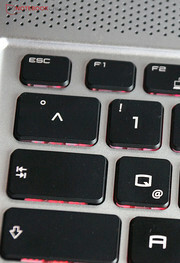 The arrow keys are not separated, despite the large 17-inch chassis. Some rarely used keys are pretty big. 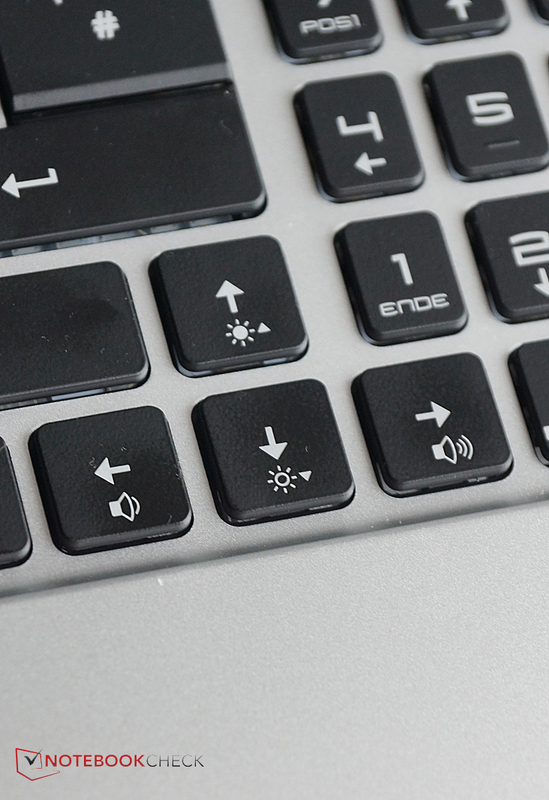 Dedicated buttons for the volume control or the display brightness are not available and require key combinations. The panel is matte but still not too coarse-grained. However, you have to live with a pretty severe blue cast in return. The MSI GS70 is actually quite impressive in dark environments. 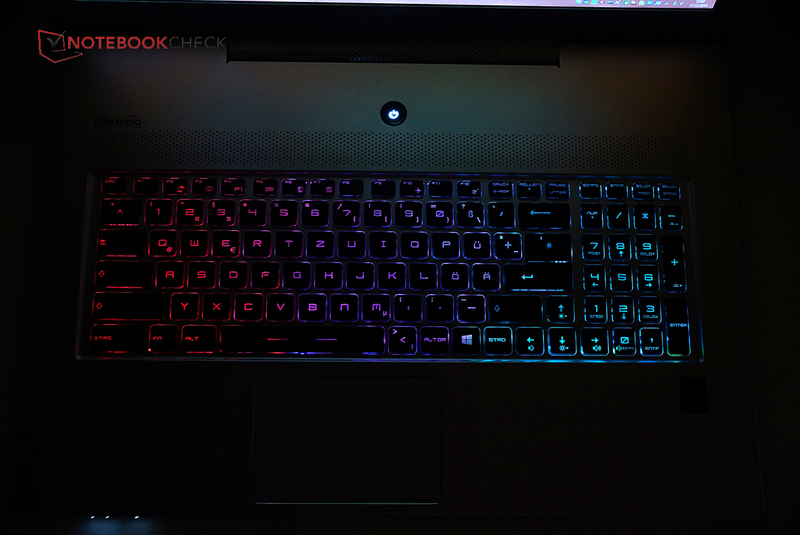 The keyboard illumination is very noticeable in these situations as well. 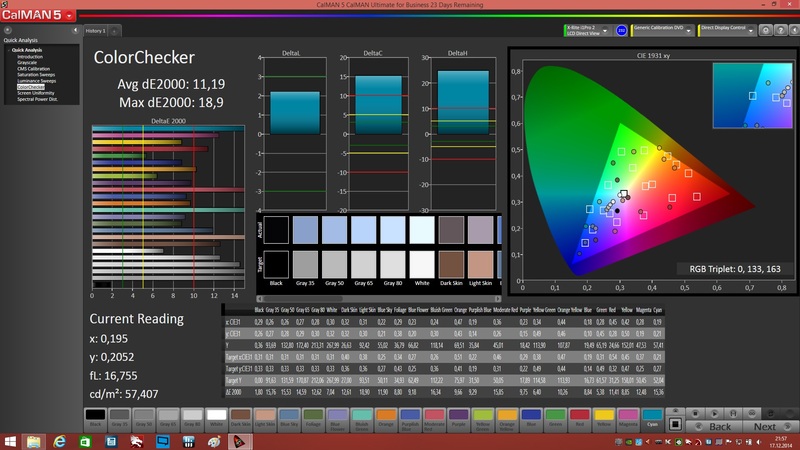 It can be configured with multiple colors and effects. All in all a good performance update, but you still have to live with old issues and both the temperatures as well as the system noise are even higher. The high gaming performance means gaming in Full HD and high details is really mobile. The sound system should be improved. MSI should also finally use IPS panels, just like Acer. Acer Aspire V17 Nitro, Medion Erazer X7613, Aorus X7 Pro, Gigabyte P27G v2, Nexoc G728II.